After a long journey, my beautiful S-Works, Swift, has returned to me whole and rebuilt. The summary story: FedEx crushed the top tube in October. 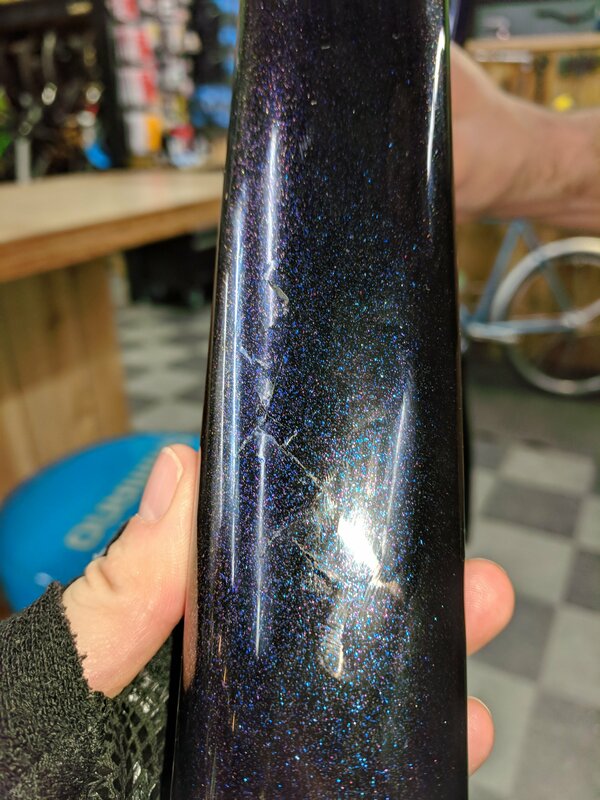 After pursuing all imaginable avenues for replacement — remuneration from BikeFlights, FedEx, and our insurance company getting; a comp replacement from Specialized; buying a new frame for a crash replacement price — I finally looked into getting it repaired. I got it repaired at Ruckus Composites in Portland, and they added some lovely additional details designed by my biking buddy David Hose. 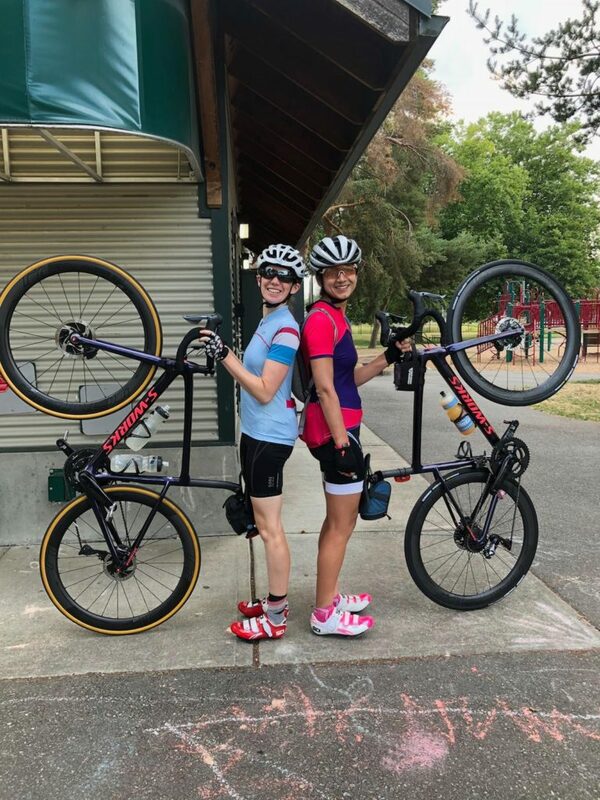 It came in last Friday, and after some hiccups — we had to acquire a seatpost clamp and cover at the last minute; the bike shop wasn’t ready, so I switched to bike shops — Woodinville Bike Shop built it up for me this afternoon. I’m really, really excited to ride it. This weekend looks phenomenal, weather-wise, but I’ll be spending Saturday with Benji while Ian enjoys Emerald City Comic Con. Sunday, however, I’m hoping will be my day. Let’s see, what’s happened since I last updated about this mess? I filed a claim with FedEx. They wrote me a check, and I was briefly really excited… Until I learned it was only $100, again, the full extent of their liability since I didn’t buy extra insurance. All I need is another 48 payments like that and I’ve got the frame replacement covered! So, that finishes off any possible claims with people who did the shipping. They agree that I have a legitimate claim, but they just don’t have to pay fully to make it right. Meanwhile, our homeowners insurance has rejected the claim unless I can prove somehow it was one of the 16 perils listed in our policy. Which is impossible. I can’t imagine how I, or anyone, would determine exactly whether something was dropped on to the box, or whether the box fell off a truck, or what. I have contacted John Duggan, a lawyer specializing in bike issues, to get some advice. But lawyers are expensive, so I don’t want to waste a lot of time and resources going down that road. I suspect all the parties involved–BikeFlights, FedEx, and USAA–all are thoroughly covered with impenetrable armor of legal language absolving them of any responsibility. It’s so frustrating. I made one possibly wrong choice–to not get shipping insurance–and now even though I did nothing wrong, my family suffers the consequences. The insurance was super expensive (relatively) and I thought my box would protect it. I guess I feel like I’m not the one who crushed the frame. Why am I the one who gets punished? Why do we pay for homeowners insurance if they can just weasel out of paying for personal property damage? I’m just disgusted with the whole system, and resigning myself to not replacing the bike. I have my old Cannondale. I can’t justify spending that much again on what is ultimately a toy. 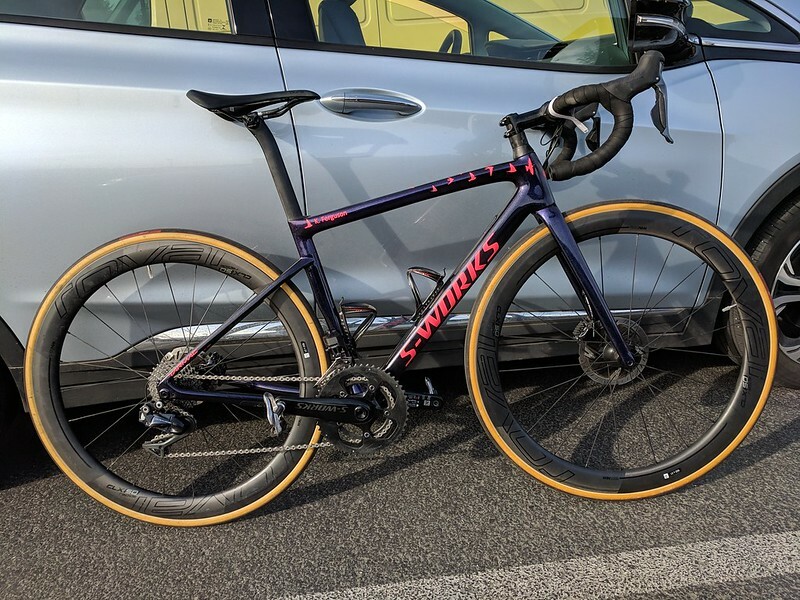 A little over a week since I learned my S-Works was destroyed, and I’m starting to be able to think about it more calmly. I guess I’m slowly accepting this reality, where I spend my free time trying to submit claims to different faceless, soulless corporations, and they find reasons not to cover the expenses. I’m also coming to accept that it’s very likely we will end up eating the full cost of replacement. At the same time, I’m finally starting to believe that there are things to be thankful for. I wasn’t riding my bike when it got damaged. Nobody was hurt. It’s only the frame. Everything else seems fine, which makes fixing it that much more manageable. Frames still run $4500, but there are crash replacements and some hope I won’t have to pay full price. Time will tell there. It wasn’t my pink bike. The S-Works was phenomenal, and a joy to ride, but it was all new stock parts that are easy to get replacements for. I’ve customized my pink bike so much, I don’t think it’s possible to get all the parts if something were to happen to it. Plus I ride the pink bike every day. I’d miss it more, I think. I have my Cannondale. I couldn’t bring myself to part with my old bike, and now I’m glad I didn’t. That reluctance means I now have something faster to ride than my commuter bike on Saturdays. I have a hope of replacing it some day. Financially that’s nothing to sneeze at. So I get to be thankful. There’s so much to be thankful for. I see it more every day. I’ve been following up on remuneration for the destruction of my bike frame. It looks pretty grim. Here are all the parties involved and why they won’t pay. This is the third party I used to make the label. I created the label long before I bought the S-Works, so the manifest lists my Cannondale SuperSix Evo, and I didn’t bother with shipping insurance. That was an older bike, and what are the odds anything would happen when it’s so protectively boxed? When I bought the S-Works, I didn’t even think of updating the BikeFlights manifest or extra insurance coverage. I just put the S-Works in the box and blithely went on my way. Now, to their credit, BikeFlights did right by me, to an extent: They paid the full amount they were liable for without much of a fuss. Unfortunately, because I hadn’t purchased any extra insurance, their full liability was $100. They are the actual shippers, and they’re the ones who caused the actual damage. Some FedEx employee dropped the box from a high height, or dropped something heavy on it, or stood on it, or stacked 10 pianos on top of it. 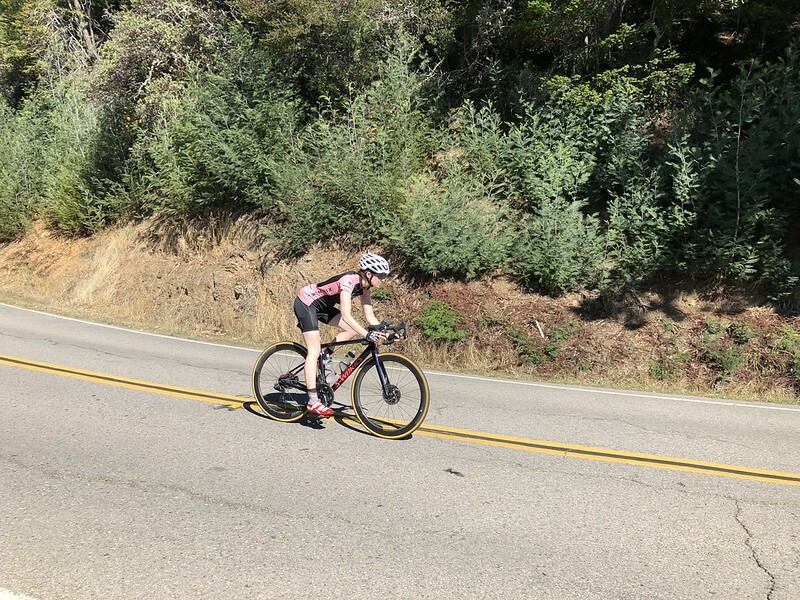 I don’t know what they did, but somewhere between Santa Rosa and Kirkland, they crushed my frame. I have not yet talked directly with FedEx, because I suspect they will point to and hide behind their contract with BikeFlights to dodge any liability. And, again, I opted out of shipping insurance, so it’s really my fault. I am planning on contacting them, but I’m not at all sanguine about my chances. These fine folks provide our homeowners insurance. They cover personal property damage, even when away from home, so I had some hope we might get recompense there. I filed a claim with them, and yesterday spoke with an adjuster. She just asked for my statement, during which I honestly described exactly what happened. At the end of my long, woeful tale, the adjuster asked me exactly what had caused the damage. I told her, again honestly, I didn’t know. Have you ever gotten a package shipped to you that was crunched somewhere along the line? How can you determine what caused the damage? But our policy only covers damage caused by certain things: fire, water, earthquake, theft, vandalism, vehicle, and a few other disasters I forget. They don’t cover vague “damage in shipping” unless I can somehow prove it was, say, a FedEx truck running into my box. Similarly, they cover falling damage, but only if something falls onto my stuff, not if my stuff itself falls. So if my bike box fell off a truck, I’m out of luck. But if another heavy package fell onto it, and I can prove that, I might get paid. All that is pure speculation, though. Even if I call FedEx, how could they possibly tell me exactly what happened? Those guys toss boxes all day long. It’s darn near impossible to tell what exactly caused the damage. The box is massively scratched up along one edge, and it wasn’t before. But otherwise it is totally intact – no holes, no dents, no nothing to indicate massive trauma. The frame was crushed where the handlebars were packed around it, but the handlebars, wheels, and everything else in the box is fine. What do those tell us? They tell us that the insurance company will slither through that little crack so fast you can barely see its tail flick out of sight. Bottom line… Probably us. Because I didn’t do the BikeFlights manifest and insurance correctly. Even though I did everything else right – paid hundreds of dollars to have it packed professionally, used a box that could practically survive a nuclear blast, burned candles to my ancestors, you get the idea – we end up on the hook. I’m feeling discouraged, bitter, depressed, angry, defeated, hopeless. Because of course it’s the people who are most powerless, who can least afford to absorb this financial setback, who end up suffering the most. We’re not exactly in low income bracket, clearly, but my S-Works was a huge splurge in the first place. It wasn’t a drop in the bucket, it was like half a bucket. We did it, but doing it again? Replacing my S-Works, even just the frame, is hard to justify and afford when we also have an ageing furnace and hot water heater and who knows what other unexpected expenses. I sure hope the shareholders of those companies are happy, cuz I can tell you right now, I certainly am not. And I can tell you right now: I’ll think twice about shipping my bike again. On the shipping trip back, my beautiful S-Works frame was crushed. I don’t even know how that’s possible; it was professionally packed by NorCal Bike Sport in my hard-sided Thule bike box. That box is like tank armor. It has Kevlar bands to keep it from being crushed. And yet, my frame is totally destroyed. I don’t know yet about the handlebars or wheels or any of the other components. What I do know is that my beautiful purple-blue-red glitter frame, so fast, so responsive, so comfortable, so expensive… Is gone. There’s no fixing it. It’s totaled. To make matters worse, I made the original BikeFlights label for my Cannondale long before I even bought the S-Works, and I didn’t buy any extra insurance. What were the odds that something could hurt my bike inside that bullet-proof box? I’ve contacted BikeFlights, but their website makes it clear that they won’t cover damage if you didn’t buy their insurance. Plus I shipped a different bike from what was on the manifest. So I’m not sanguine about getting any traction there. Our homeowners insurance may cover part or all of the damage, too, since it covers high-value “personal property” that usually resides at our home. I’m waiting to determine the full extent of the damage, and then I will file a claim with them. I’ve also opened negotiations with the bike shop that sold me the bike to see how much a frame replacement or a full replacement will cost. Short answer: not as much as the original, but a lot. Also, no more beautiful glitter purple frames are available this year. So that’s where I’m at. Mostly waiting to figure out if anything else is broken and trying to hold myself together. Honestly, it feels like my heart was crushed along with my frame. I’ll be okay… Eventually.